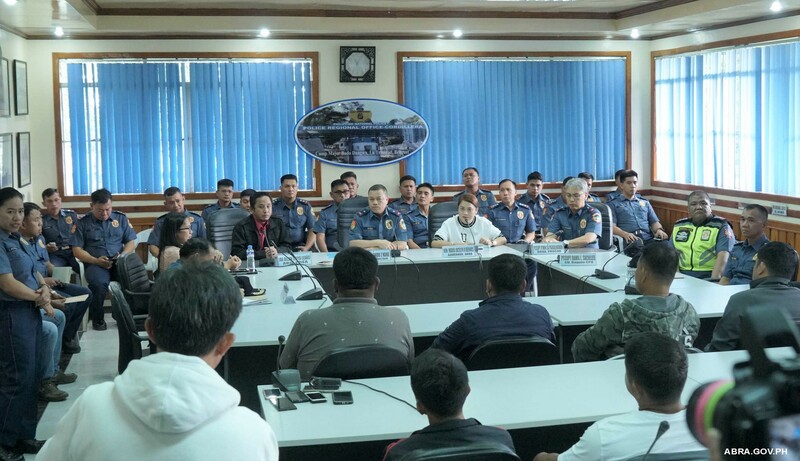 Governor Joy Bernos initiates dialogue with Police Regional Office-Cordillera led by PNP Regional Director Rolando Nana, the Regional Office of PDEA, and the 14 barangay officials of Abra included in PDEA’s narco list at PRO-Cor Camp Bado Dangwa, La Trinidad, Benguet on June 22, 2018. “We came here to signify our support, our commitment to the government’s thrust in its fight against illegal drugs,” the governor said. The 14 barangay officials involved won in the last barangay elections. They pledged their commitment to properly govern their barangays and help in the anti-illegal drug campaign of the government. The barangay officials also subjected themselves to a drug test.